The pump shaft and the motor shaft is connected with the drive coupling poor installation is one of the root causes of noise and vibration, and thus to install concentric and coaxial degree should be less than 0.1mm, the two axis inclination of not more than 1 degrees, the general should adopt flexible connection, avoid using triangular belt or gear directly drives the pump shaft gear pump (unilateral force), and to avoid excessive force on the pump shaft and the shaft of the hydraulic motor, so as not to damage the rotor. 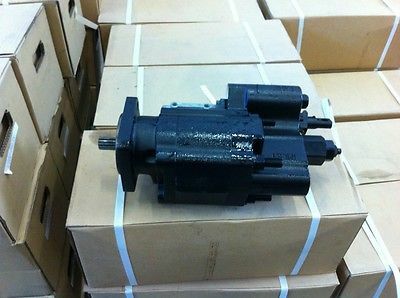 Pump rotation direction should be correct, pump and hydraulic motor inlet and outlet shall not be connected, so as not to cause trouble and accident. Pump and motor support or chassis should have sufficient strength and stiffness to prevent vibration. The suction height of the pump shall not exceed the requirements specified in the instruction manual (usually 500mm), as close as possible to the oil level of the tank as far as possible. Pump suction pipe must not leak, so as not to air into the system, resulting in vibration and noise.